MB Clean | Commercial & Residential Window Cleaning Service! 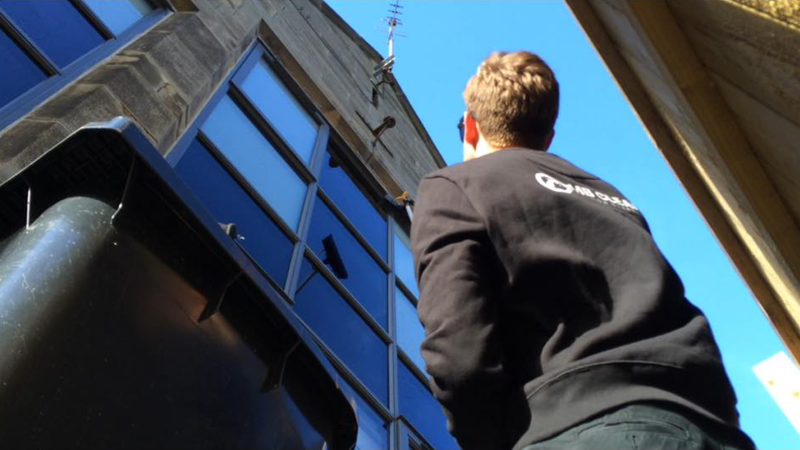 "MB CLEAN is committed to providing a reliable, high quality and value for money window cleaning service throughout the North East." Reliability is how much a service can be depended on. This is a high priority for us and key for maintaining good working relationships. We see our company as a branch on your tree. Whether it's a place of business or your humble abode, we believe our appearance and how we act is a direct connection to you. Safety doesn't happen by accident. MB CLEAN's preferred method of cleaning is the now nationally recognised 'Reach and Wash' pole system, which is HSE recommended. 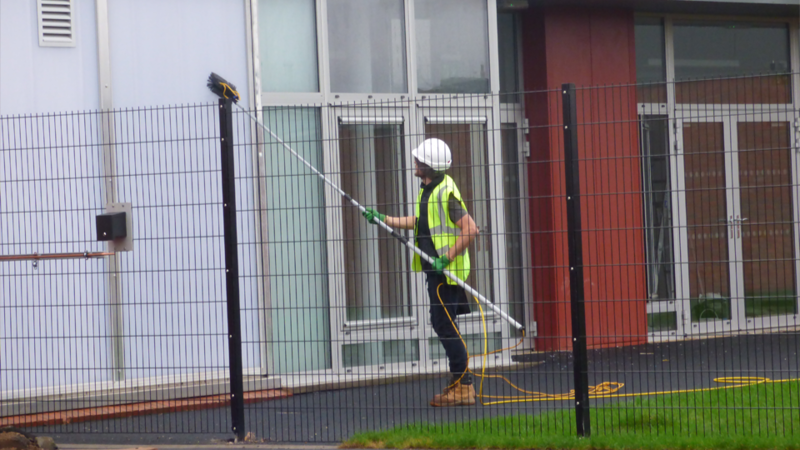 It allows us to clean up to 65ft safely from ground level. All MB CLEAN personnel are trained in the use of MEWPS (IPAF) and scaffolding (PASMA) if needed. We are aware of the importance of risk management as well as having a Health and Safety policy in place. There's nothing more rewarding than an honest days work. Honesty is fulfilling the agreed upon work to the highest standard. Honesty is charging a price that reflects our work. The day we stop seeking knowledge is the day we stop growing as a company. We are committed to a culture of constant improvement. If in the unlikely event you're not 100% COMPLETELY SATISFIED with our service, contact us within 24 hours and we'll revisit to resolve the issue for free. 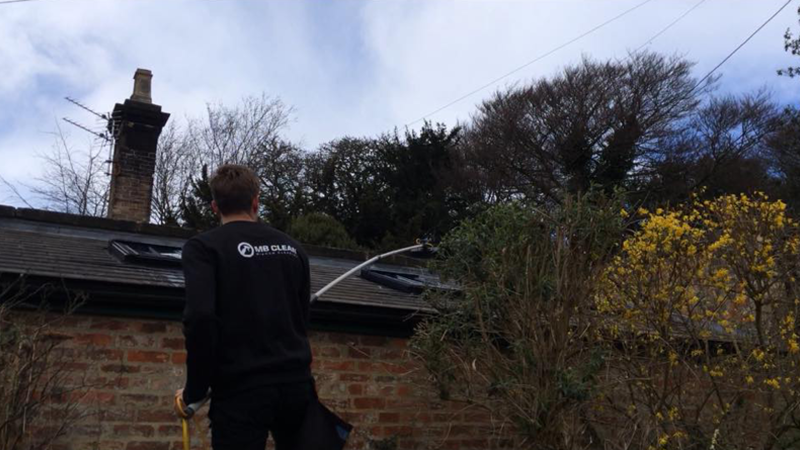 All our operatives are fully insured and trained with the reach and wash method (preferred), traditional methods and hydraulic lift platforms. 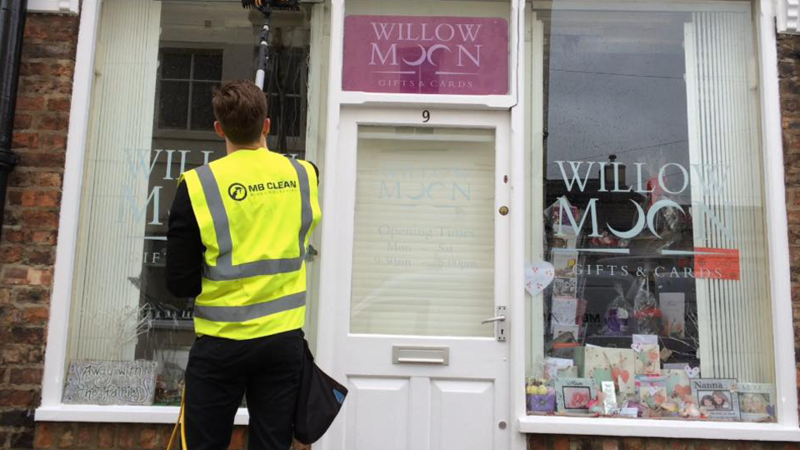 We offer Final Builders Cleans, Gutter Clearing and Cleaning, Signage Cleans, Cladding Cleans, Canopy Cleaning and High Pressure Cleaning. MB CLEAN offers a professional reach and wash cleaning service covering Guisborough, Great Ayton, Stokesley, Middlesbrough, Marske, Redcar, Saltburn, Skelton and other surrounding areas. 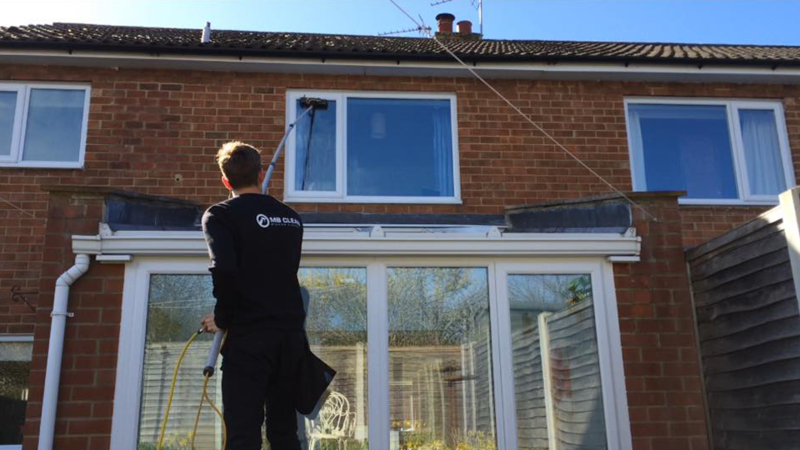 Windows, frames, sills and doors included in every clean. No guess work or estimating, pay by the window. 100% satisfaction guarantee, or we will revisit for free. Easily pay via BACS, cheque, cash or direct debit. We're environmentally friendly. No chemicals or detergents are used during the reach and wash process. "Excellent communication skills. The gents are reliable and professional." "Awesome job. You can pay by bank transfer which is very convenient." "Really pleased with the service. Reliable, reasonable and professional." Fill out the form and we'll get back to you ASAP! Copyright © 2019 MB Clean. Window Cleaner Cleveland, Window Cleaner Coulby Newham, Window Cleaner Great Ayton, Window Cleaner Guisborough, Window Cleaner Ingelby Barwick, Window Cleaner Middlesbrough, Window Cleaner Near Me, Window Cleaner New Marske, Window Cleaner Redcar, Window Cleaner Saltburn, Window Cleaner Skinningrove, Window Cleaner Stockton, Window Cleaner Stokesley, Window Cleaner Teesside, Window Cleaner Yarm.